The Wesleyan Methodist tradition is one that has always sought to put faith into action. One way that millions have done so is by serving on a short-term mission trip. Short-term mission (STM) has been billed as a way for churches to spread the Good News to those in underserved areas of the world. The wide-spread and growing practice deploys teams that are often comprised of church members with willing hearts, ready hands, and a desire to bring about a change. Though the United States sends the most STM teams, churches from other countries send teams all over the world to work in children’s programs, health clinics, or other such ministries. STM began as a populist movement with roots in evangelistic motivations. Many of these early teams departed home with suitcases full of Gospel literature and a burden to share the Good News of Jesus Christ. They distributed hundreds of millions of evangelistic materials in countries across Europe, the Middle East, and Asia. But today most STM trips are not to such locations. Rather, they are places to where the church is already growing. Nine of the top fifteen STM destinations for American STM teams are in Latin America and the Caribbean—areas that are seeing dynamic church development. Certainly, there are needs for evangelistic work in every community. However, the idea that the STM team members are going to be the first ones to bring the Good News to “those people over there” needs to be examined further. So, here are a few points to consider when considering STM and evangelism. Mission, by its very nature, is to be evangelistic. If you are preparing for a STM trip, be prepared to share the hope you have in Jesus Christ, when the time is appropriate. (1 Peter 3:15). In Matthew 11, John the Baptist sends messengers to Jesus to ask him about the work of the Kingdom. Jesus’ answer points to the restorative miracles of his mission. Mission work efforts similarly may be occasions of faith. Let the local church lead. The local church leaders know the community best. They will be there long before the STM team arrived. They will be there long after the STM goes back home. Let the local church community receive the recognition for what God is doing. Let them show you where and how to share faith and when to remain silent. Know the culture. There are countless stories where well-meaning, but uninformed, STM participants did great damage to the work of ministry because of a lack of understanding of cultural norms. Take time to learn all you can about the people and communities where the STM will serve. A good place to start is something as simple as the hosts’ language. In a survey of pastors who receive STM teams, many lamented the fact that the teams failed to take the time to even learn basic phrases in their hosts’ language. A few words can go a long way! Reverse the Process. Here’s a challenge for a church that sends STM teams: invite members of your host community to come to your church—and you pay the expenses. Find your ministry partners mission projects in your community, comfortable places to stay, and familiar foods. You may be surprised about what you learn about one another and how to reach your own community with the gospel. There are certainly many aspects to consider when serving in mission, but these few are a good place to start. Since mission service is certainly commanded in Scripture, let’s do it right! Rev. Dr. 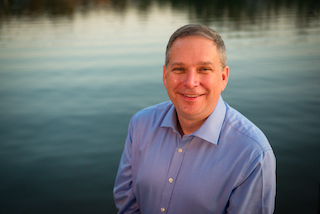 Rob Haynes is the Director of Education and Leadership for World Methodist Evangelism. His new book Consuming Mission: Towards a Theology of Short-Term Mission and Pilgrimage examines the STM practices from a Wesleyan Methodist missional perspective. You can learn more at: www.consumingmission.com. He can be reached at rob@worldmethodist.org.